My morning routine used to involve 20 minutes of blow-drying and 15 minutes of running late. If it were just me, it'd be okay but I commute with Little Sissy Pham and she uses flex time for all her medical appointments. The simpler solution would have been to wake up earlier but that's way too logical for the likes of me. Instead, I got a new hairdryer from this decade to blast the heck out of my hair. Who knew hairdrying technology could advance so much in 10 years? All this time I thought it was my stubborn, thick Asian hair that refused to let go of moisture. Hairdressers comment every time they try to dry my hair so I'm not all delusional. Only slightly. But with my spankin' new Remington Studio Styles Ionic Pro Pack I'm sorted in 5 minutes. For $50 it gets the job done well and people have commented how shiny and flowy my hair looks now. Little Sissy Pham finds the placement of the buttons on the handle inconvenient but she's a fussier Pham than me. Which is why when her hairdryer died a couple weeks ago, I bought her a fancy GHD dryer for Christmas! I have an annoying habit of spending much more on other people than I do on myself. It's crap. Of course, as soon as I got my own new hairdryer, Little Sissy Pham and I started swimming in the evenings so now I shower at nights and don't need to speed-dry my hair in the mornings anymore. Such is life. So today I had a haircut, and rediscovered how multi-purpose hair dryers are. My hairdresser used the hair dryer to move the huge clumps of hair that came from me to the corner of the room for the help to sweep up, and she used the hair dryer to get rid of the hair that was attracted to her face. But I say rediscover as my dad and I used to use hair dryers to heat up rubber belts in electronics (in tape players and VCRs, for instance) and for heating up nail polish to lock screws into place. I bet your new hair dryer would lock those screws into place quicker than putting them on the sun! ...really did not expect a comment from a male physicist on this post. You're full of surprises! 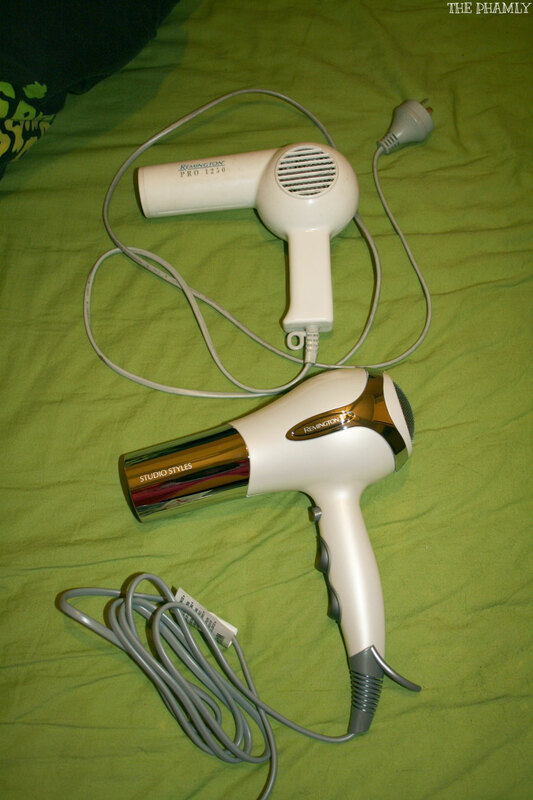 Wait 'til I blog about the hairdryer I bought Little Sissy Pham. The epic GHD will lock those screws in faster than I can eat rum balls. And I power-eat those things.